The Arthur W. Page Center at the Donald P. Bellisario College of Communications at Penn State announces an annual Page and Johnson Legacy Scholar/Educator competition for the study of integrity in public communication. The Center awards grants of $500 to $15,000 each to support scholars and professionals making important contributions to knowledge, practice or public understanding of ethics and responsibility in public communication. 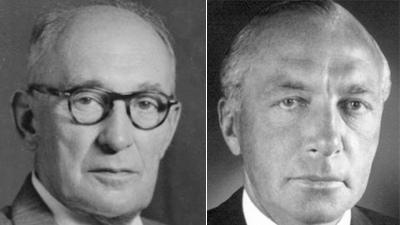 The grants are awarded in the name of Arthur W. Page and Robert Wood Johnson. Page, the longtime vice president for public relations at AT&T, is often regarded as the founder of the modern practice of corporate public relations. He was the first person in a public relations position to serve as an officer and director of a major corporation and, in that capacity, was widely known for his ethical and effective communication with the public and responsible corporate behavior. Johnson built Johnson & Johnson from a small family business into the world’s largest health and medical care product company and one known for its high standards of social responsibility. He wrote the Johnson & Johnson Credo, probably the most widely known and widely regarded statement of ethics in the corporate world. The Center seeks to foster a modern understanding and application of the Page Principles and the Johnson & Johnson Credo by supporting innovative research and educational or public service projects in a wide variety of academic disciplines and professional fields.